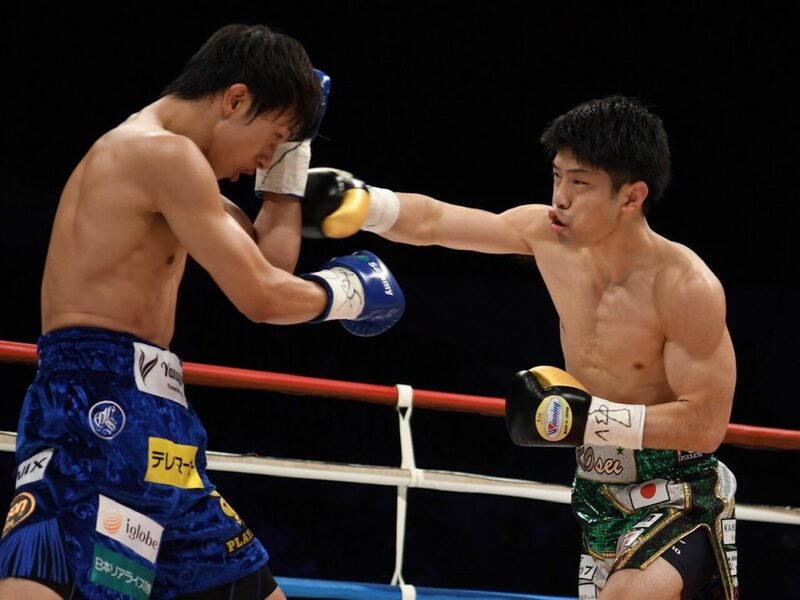 Gifu City was the site last Saturday night of the WBO flyweight title fight that saw reigning champion Kosei Tanaka successfully defend his belt against former unified Ring junior flyweight champion, Ryoichi Taguchi. To reach “The Fate” as the fight was dubbed, you’d have to hop aboard the bullet train in Tokyo and take it 90 minutes south before transferring to a local train for another 45 minutes, which is what Taguchi’s Tokyo fans and most of the media pool had to do. The matchup was a longtime coming as the two were originally supposed to fight in a junior flyweight unification bout on New Year’s Eve 2017 in Tokyo before two broken orbital bones suffered in his successful title defense against Rangsan Chayanram caused Tanaka to pull out of the scheduled affair. Taguchi (27-4-2, 12 knockouts) meanwhile would wind up having and winning a different unification fight that New Year’s Eve night against the then-IBF champion Milan Melindo. The victory also crowned Taguchi as the Ring Magazine champion of the light flyweight division. Now more than a year later the tables were turned with Tanaka having the home advantage, the momentum and also the WBO flyweight title to his name. Taguchi moved up in weight and down into the countryside to get his title shot. The fight would also be his first after losing his titles to Hekkie Budler last May. After taking nearly a year off Taguchi looked fresh and had the swagger that comes with being a former world champion belonging to the famed Watanabe Gym. His team brought with them the star power of former WBA lightweight titleholder Takashi Uchiyama, and current Ring champion, Hiroto Kyoguchi, who called the fight for the Tokyo Broadcasting System. The lights were brighter, the crowd bigger and the viewership wider as the younger Tanaka clearly gave the aging warrior respect for the opening three rounds. After some clean shots buzzed Tanaka in the third, he soon took control and never looked back. Currently ranked No. 2 by The Ring [Editor’s note: the Ring Ratings Panel advanced Tanaka to the No. 1 spot after the Taguchi victory], Tanaka is looking up at Moruti Mthalane in the rankings and covets his top spot. A unification fight with the IBF champion from South Africa could wind up being for The Ring 112-pound championship, should it be made. Mthalane has no qualms about fighting Japanese fighters, or fighting in Japan, as he stopped Masahiro Sakamoto in his last title defense and is currently scheduled to meet his mandatory challenger Masayuki Kuroda in Tokyo on May 13. A unification between the young and exciting champion Kosei Tanaka and the veteran technician Mthalane is clearly the best flyweight fight that can be made today. 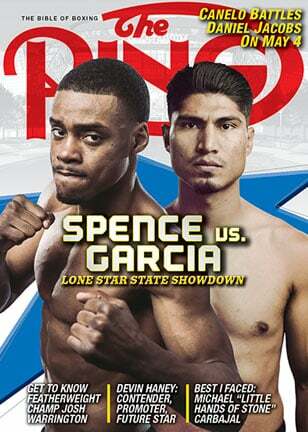 Boxing purists should be clamoring for this one. One stumbling block to getting this flyweight dream would be money. Mthalane is at the point of his illustrious career where he’s looking for a deserving payday and there’s been discussions about whether or not promoter Eddie Hearn would risk his (WBC) titleholder, Charlie Edwards [should he get by Angel Moreno], in a more challenging fight against the likes of Mthalane or, for that matter, Tanaka. Whether or not Hearn would be willing to foot the bill for either of their services remains to be seen. 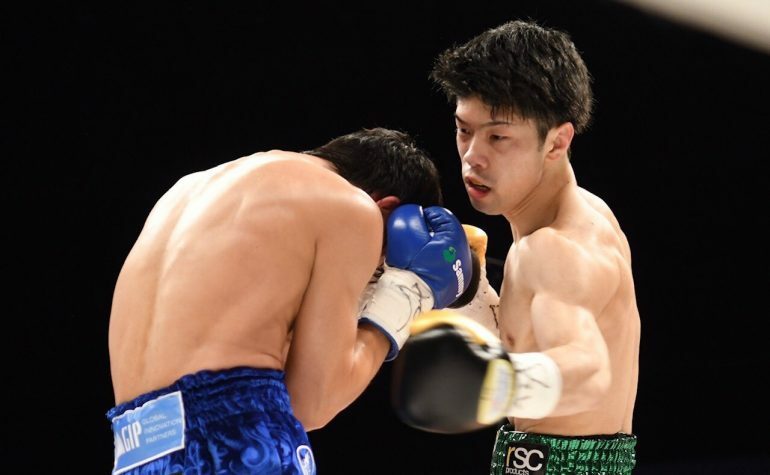 Team Tanaka is eager to raise their fighter’s profile and that may mean fighting outside the comfortable confines of the Chubu region, which includes Gifu City, and Nagoya, the site of his war with Sho Kimura last September. Fighting on TBS for fans in Tokyo and defeating a national namesake like Taguchi was a huge first step in the right direction.